Triumphant day for GB Boxing as Lionhearts make WSB final. The British Lionhearts have made the final of the World Series of Boxing (WSB) for the first time following a dominant 7-3 victory over the reigning champions, Astana Arlans of Kazakhstan at York Hall in London. Leading 3-2 from Thursday’s first leg, the Lionhearts guaranteed their passage to the final with a 4-1 victory on the night and a 7-3 aggregate as wins by Luke McCormack, Frazer Clarke and overseas selections Koryun Soghomonyan of Armenia and Bulgaria’s Radoslav Pantaleev overwhelmed a strong Kazhak team. A meeting with last year’s beaten finalists the Cuba Domodores awaits the Lionhearts in the final which will be held on Saturday 4 June 2016 in Uzbekistan. It marked a triumphant day for boxing in Great Britain which also saw Nicola Adams become World Champion in the AIBA Women’s World Championships in Kazakhstan. 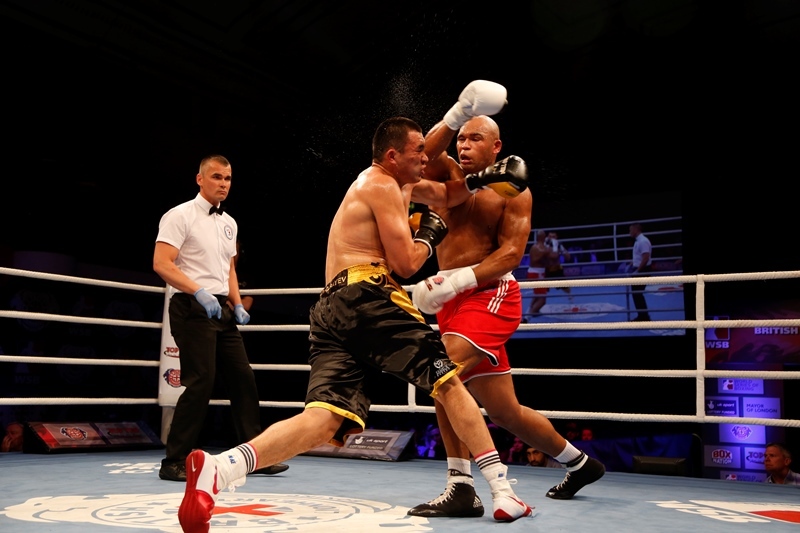 Rob McCracken, Performance Director of GB Boxing and Head Coach of the British Lionhearts said: “To defeat the defending champions and make the final against one of the super-powers of WSB is a superb achievement by the whole team. The Astana Arlans are extremely tough so to win 7-3 is a fantastic result and the boxers should be extremely proud of what they have done over these last two nights at York Hall. Sitting on a 3-2 lead from the previous evening, the Lionhearts started in fine style as Koryun Soghomonyan of Armenia unanimously defeated Azamat Issakulov at flyweight. Another impressive performance from Luke McCormack, who was too sharp and elusive for Zakie Safiullin in the lightweight contest, made it 5-2 and put the Lionhearts on the cusp of victory as he emulated twin brother, Pat, who won at light-welterweight in Thursday’s first leg. A split decision defeat for Josh Kelly on his WSB debut against the impressive Aslanbek Shymbergenov in the welterweight contest kept the match alive. But all hopes of a comeback by the Astan Arlans were extinguished when Radoslav Pantaleev from Bulgaria won the light-heavyweight contest to give the Lionhearts an unassailable 6-3 lead. It was left to Frazer Clarke to put the icing on the cake however the super-heavyweight did not have it all his own way. The Burton mad had to climb off the canvas, after catching a good left hook by Kamshybek Kunkabayev in the first round, before making his superior boxing skills tell over the remaining four rounds to secure the win and maintain his unbeaten (4-0) record in WSB.